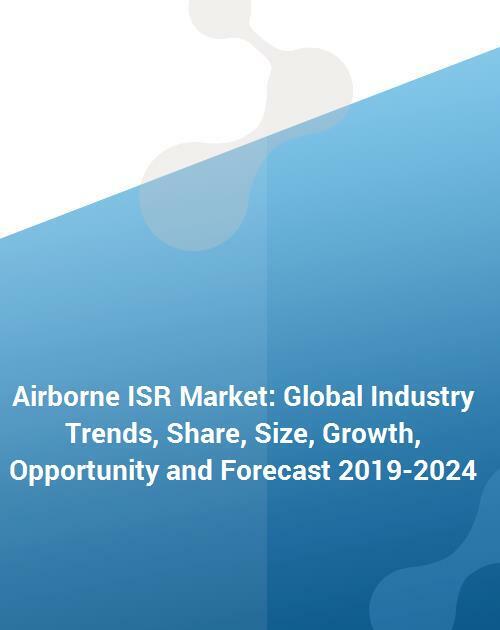 The global airborne ISR market reached a value of US$ 22.2 Billion in 2018. Airborne intelligence, surveillance and reconnaissance (ISR) systems help in finding and tracking friendly as well as hostile forces and assessing damage to hostile targets in an area of interest. They also assist in performing various security operations to enhance situational awareness for military personnel protection. These systems employ three different types of electronic sensors for capturing information which include electro-optical/infrared (EO/IR) sensors, radar, and signals intelligence (SIGINT) systems. Nowadays, defense authorities are expending on airborne ISR systems in order to improve national security and acquire data from potential enemies. In comparison with manned ISR aircraft, unmanned aerial vehicles (UAVs) are smaller, more reliable and cost-effective. They are also equipped with a range of systems like an engine, autopilot, airframe, sensor package, navigation system and a communication link, and onboard sensors such as GPS, LASER, SAR (Synthetic Aperture Radar) and IMU (Inertial Measurement Unit). As a result, the demand for UAVs is being propelled around the world which, in turn, is driving the growth of the airborne ISR market. Moreover, on account of economic prosperity, growing threats of terror attacks, and increasing political and religious clashes, several countries worldwide are focusing on enhancing their warfare capabilities. This assists in averting enemy trespasses and helps in gathering information about their strengths and movements. Looking forward, the publisher expects the market to reach a value of US$ 29.4 Billion by 2024, registering a CAGR of around 5% during 2019-2024. The report has also analysed the competitive landscape of the market with some of the key players being BAE Systems PLC, Technologies Inc., Kratos Defense & Security Solutions Inc., Thales Raytheon Systems, Elbit Systems Ltd, Harris Corporation, General Dynamics, CACI International Inc., Northrop Grumman Corporation, Lockheed Martin Corporation, UTC Aerospace Systems, FLIR Systems Inc., Airbus, General Atomics, etc. How has the global airborne ISR market performed so far and how will it perform in the coming years? What are the key regional markets in the global airborne ISR industry? What is the breakup of the market based on the platform? What is the breakup of the market based on the system? What is the breakup of the market based on the fuel type? What are the various stages in the value chain of the global airborne ISR industry? What are the key driving factors and challenges in the global airborne ISR industry? What is the structure of the global airborne ISR industry and who are the key players? What is the degree of competition in the global airborne ISR market? What are the profit margins in the global airborne ISR market? 16.3.3 Kratos Defense & Security Solutions Inc.